From Crazeal to Groupon to Nearbuy, the online deals company has seen a lot of rebranding over the years but has survived. From Crazeal to Groupon to Nearbuy, the online deals company has seen a lot of rebranding over the years but has survived. 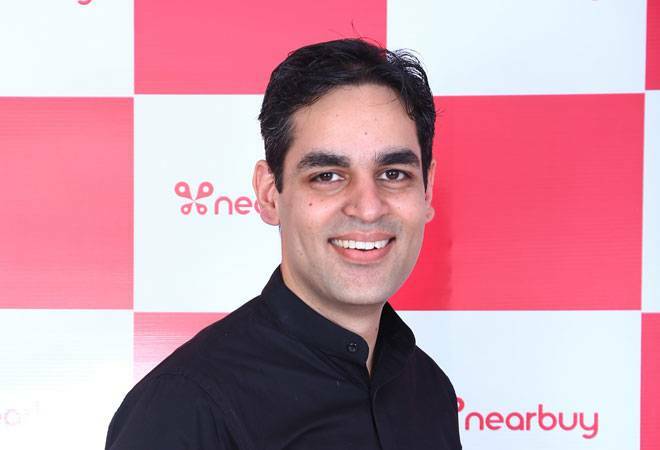 In an interview with Business Today's Devika Singh, Ankur Warikoo, Founder and CEO of Nearbuy, explains why the company underwent so many changes and how it impacted them. BT: Why have you rebranded your company so many times? How has this journey been? Warikoo: When Groupon moved to India in 2011, we acquired a company called SoSasta.com. However, we realised later it was a bad name to acquire. So, we decided to change the name and the obvious choice was Groupon. But the domain name and trademark Groupon had already been blocked by someone in India and we had to fight a legal battle for it. Since legal battles take long, we decided to change to a different name for the time being and came up with Crazeal, which was short for Crazy Deal. The move was smooth and established an identity for ourselves within a year. Eventually we won the battle, so we rebranded ourselves to Groupon in 2013. That move was a lot smoother because people knew Groupon and now we have moved from Groupon to Nearbuy. BT: In 2015, you decided to rebrand from Groupon to Nearbuy. Was this a smooth transition? Warikoo: Change to Nearbuy has been dramatically successful for us. We wanted changes but under Groupon we were always at loggerheads to get our concepts and ideas through, because if we had any request, it would become part of a global backlog. Ever since we moved out of Groupon, which was in August of last year, we have grown our business five times. It's the steepest growth trajectory we have seen and 65 per cent of Groupon users have already moved to Nearbuy. BT: But is it a good idea to change name so many times? Warikoo: It's not easy but in the Internet space people know you for what you do and not for what you are called. Yes, there is a certain recall factor and Groupon has a strong one. Groupon has about four years of brand recall value and if I rate that brand recall value at about 100, then Nearbuy is already 60 within five months. BT: You launched your app last year. What kind of response has it seen? Warikoo: In four months we have crossed half a million downloads and the customers are launching Nearbuy app at least six times a month. They are buying one-and-a-half-times a month and they are buying at an average of Rs 850. BT: What changes have you seen after rebranding to Nearbuy? Warikoo: The average time between buying a deal and availing it in the Groupon world was about there and a half days; in Nearbuy world this average time is 18 hours. So people are buying a deal and availing it the same day. Also, 28 per cent of our purchases are being redeemed within the same hour of being bought. The average distance between 'where people are buying it from' and 'where people are buying it for' is 1.2 km. So, 'right here right now' phenomenon is beautifully materialising itself in the Nearbuy world and it wasn't there in the Groupon world. BT: What's the next phase for Nearbuy? Warikoo: Next phase for Nearbuy is establishing ourselves in the 33 cities we are in, and making sure that every customer out there experiences Nearbuy. The goal for us is that every single dollar in the offline world should pass through Nearbuy. We are going for a $100-billion market. That's a big goal for us to set and technology is the only way we can achieve it. So, in this one year you will see us getting more aggressive on merchants, customer front, getting the right supply, doing TV campaigns and anything else that generates high level of consumer demand.